Tina Turner has won 11 Grammy Awards, is a member of the Rock and Roll Hall of Fame, received a Kennedy Center Honor in 2005 and has sold over 100 million records. Regula Curti is the co-founder, with her husband Beat Curti, of the forward-thinking BEYOND FOUNDATION that is dedicated to uniting cultures through music. 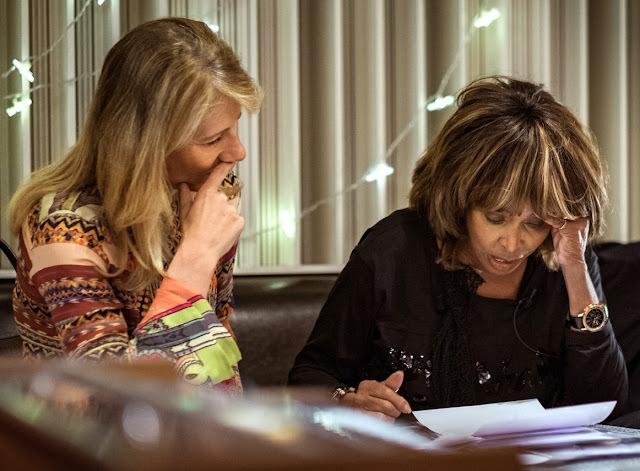 Together Tina Turner and Regula Curti have been working on the BEYOND music project since 2007 with four albums released so far. 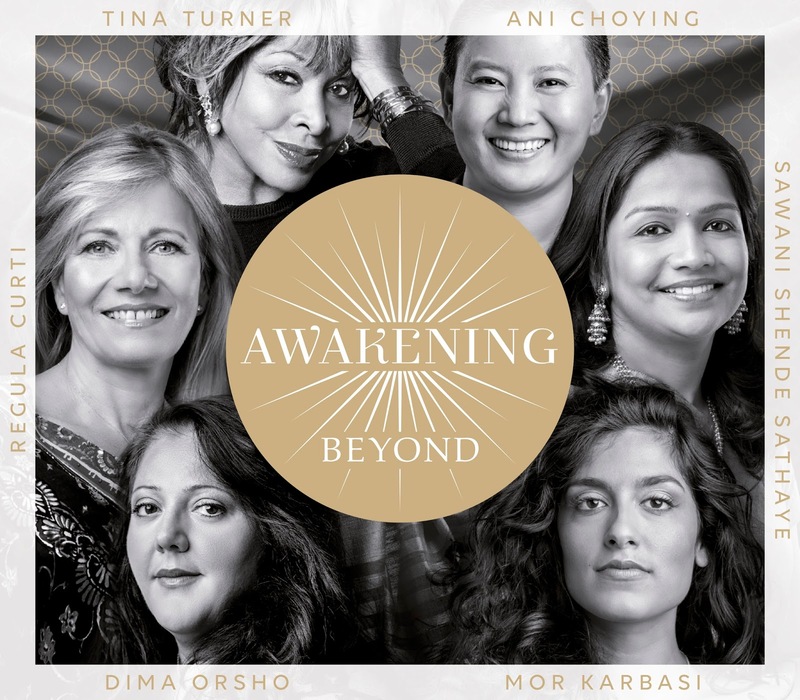 Their latest album, AWAKENING BEYOND, features lyrics and prayers from six different cultures and spiritual traditions worldwide and features Tina Turner, Regula Curti, Ani Choying, Dima Orsho, Sawani Shende Sathaye and Mor Karbasi. Stay Thirsty Magazine was honored to visit with Tina Turner and Regula Curti in Switzerland for this extraordinary Conversation. STAY THIRSTY: When did spirituality awaken within you? How did you transition from being the “Queen of Rock n’ Roll” to joining forces with Regula Curti in the BEYOND FOUNDATION? TINA TURNER: My spirituality was awakened when I was little girl and finding comfort in nature. Spirituality never left me. As a rock singer my spiritual practice remained part of my life. When I was torn to my hardest time, I was chanting Nam Myoho Renge Kyo. Words are very powerful. It changed my life to the better. I just finished my last tour in 2009, when I was asked by Regula Curti to join the BEYOND music project. I strongly felt ready to contribute my spiritual side, my chanting practice and my story of growth and development as a human being to the people. I always was told that a spiritual project comes one day. STAY THIRSTY: You have lived a very public life where both your good and your bad times played out in the press. How do you see the next phase of your life and what do you hope to accomplish? TINA TURNER: The musical [Tina – based on her life] is in work production. I am very pleased with it. It took me out of retirement. The opening of the musical will be in April in London. I have a wonderful cast and I am most happy that Tony-nominated actress Adrienne Warren joined, playing Tina. She has the voice and energy she needs for that. It will feature my much-loved songs. I see my life story from a different perspective today. It will be a surprise to all. I see my role in being an inspiration for people to help themselves, for me to help myself, for comfort in my life and to be able to give something back. 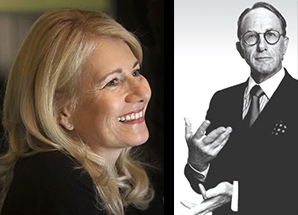 STAY THIRSTY: How important are spiritual connections and mutual recognition in the wider world? TINA TURNER: We have been exploring the link between music, healing and spirituality for years. Our album, AWAKENING BEYOND, is the latest in our ongoing efforts to increase dialogue, respect and engagement via education and creative projects. I feel strongly that it's time for us to move beyond the division, into a greater spiritual connection and mutual recognition. Music is the most universal language to unite us all. Music can built bridges between You and Me, Us and Them. STAY THIRSTY: What led you and your husband, Beat Curti, to form the BEYOND FOUNDATION and how did you decide on its mission and goals? REGULA CURTI: When my husband and I met we had the same book on our night tables: The Tibetan Book of Living and Dying by Sogyal Rinpoche. It is introduction to Tibetan Buddhist wisdom. That was the beginning of our spiritual journey. We followed the profound teachings in mindfulness by Thich Nhat Hanh and supported Mind and Life founded by His Holiness the Dalai Lama. The book BEYOND RELIGION by his Holiness was deeply resonating in our hearts and was a brilliant summary of all what we encountered in our studies. His Holiness argues that religion is not a necessity for pursuing a spiritual life. Rather, focusing on tolerance and understanding between religions, as well as tolerance and understanding between believers of any faith and non-believers, is the way forward. The mission for the BEYOND FOUNDATION was founded on uniting cultures in the world through music to create cross culture understanding, awareness, dialog and respect. STAY THIRSTY: Your most recent album, entitled AWAKENING BEYOND, features lyrics, prayers and lullabies recited and sung by women from Switzerland to Nepal, from Syria to India to Israel. How did you choose the women to participate in this recording and what is their collective goal in doing this project? REGULA CURTI: I experience that a strong longing for a cause attracts people with the same mindset. All the women on our BEYOND albums feel that music can uplift, heal and unite. Their life stories are telling about the suffering and challenges of a human life in many facets. They all represent, in a very pure sense, the music tradition and culture they have been brought up in. But what unites us most is the love and respect of each culture and religion, an open heart to merge with one another without loosing our identity. AWAKENING BEYOND is a heartfelt gift of six women, "a note of hope" to create a shared future in a fractured world. STAY THIRSTY: How important is it to unite cultures and to create cross-cultural understanding? How powerful is music in making that happen? Have you seen its effects? REGULA CURTI: More urgent than ever! The world is ready for this. There is so much misunderstanding and hatred. AWAKENING BEYOND embraces faiths and traditions and offers an elegant musical variety to heal a troubled world. 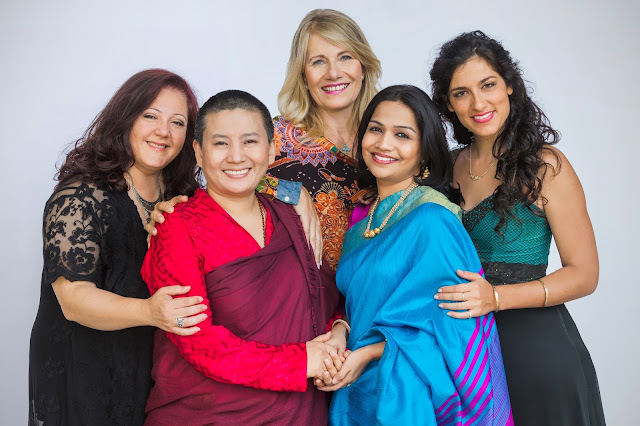 We are women of six different backgrounds and cultures; the US, Israel, Syria, Nepal, Switzerland and India raising our voices to find an unitary resonance meant to lift us out of our everyday trials, towards something greater. Music is the most universal language and has the ability to build bridges. We have been exploring the link between music, healing and spirituality for years. The experience of singing prayers together allows us to deeply connect on an emotional level – it creates a vibration of love and respect where worldly differences fade. It was amazing how successful our first BEYOND was, being awarded a Gold and a Platinum. Our music is used to calm, to comfort and uplift people of all ages. The message inspires to go beyond. STAY THIRSTY: You recorded AWAKENING BEYOND at the historic Abbey Road studio and the soundtrack was performed by the Philharmonia Orchestra of London along with musicians qualified to produce authentic sounds with traditional instruments from various cultures. Was there a feeling going into the studio that you were creating something of global proportions that would change lives and impact human interactions? REGULA CURTI: When I walked over the famous crosswalk of the Beatles, I felt that life is magical. I felt proud, but at the same time grateful to all the people who supported us over the last ten years of BEYOND Music. First of all to Tina and her husband Erwin Bach, to my husband and all the singers and musicians and the fans. It is a journey of faith and dream to make the impossible possible. When I heard at Abbey Road studios for the first time the lush orchestral score composed by Kareem Roustom, I felt very emotional. The whole team felt, that this music lift us up to something greater, to inspire to go beyond the separation we created on our planet. STAY THIRSTY: How important is faith, spirituality and compassion in your personal life. Will you continue to bring extraordinary women together to produce more albums in the future? REGULA CURTI: In 2000, I founded the SEESCHAU, the house of resounding emptiness, where I teach music, yoga and meditation. This daily spiritual work helps me to develop the strength and love for the BEYOND Music projects. With AWAKENING BEYOND, which unites the five world religions and traditions, we realized a vision. Now it is time to open the BEYOND music project to an even bigger mission. The BEYOND FOUNDATION will establish an online platform to encourage musicians worldwide to create innovative, cross-cultural music beyond borders. Beyondmusic.org is a global exchange place for like-minded musicians to meet and collaborate. We invite musicians from any genre to join, to inspire each other and to develop new BEYOND music together. BEYOND MUSIC projects will continue our legacy and passion in celebrating the universal power of music and creating a world team spirit of togetherness and compassion.